We visited the City of Gary in Indiana as part of a research report being prepared by one of the Japanese staff. The report is on the efforts made by cities in the United States that have lost a considerable amount of population to re-vitalise their communities. Incidentally, Gary is the birthplace of Michael Jackson. We were able to see the city has the potential to be great again. It has a variety of neighbourhoods, from the lake front beauty of Lake Michigan that is a natural treasure to the University of Indiana complex. U.S. Steel is still operating in the city though at a much small scale than some forty years ago. But the biggest asset that Gary has is its location. As the transit hub of the Mid-West (both rail and road), connecting Chicago, Detroit, Cleveland, St. Louis and all points south to the Gulf Coast, Gary offers businesses access to the whole middle of the country. In addition to that, it has a superb and almost brand new airport that can accommodate any size aeroplane. 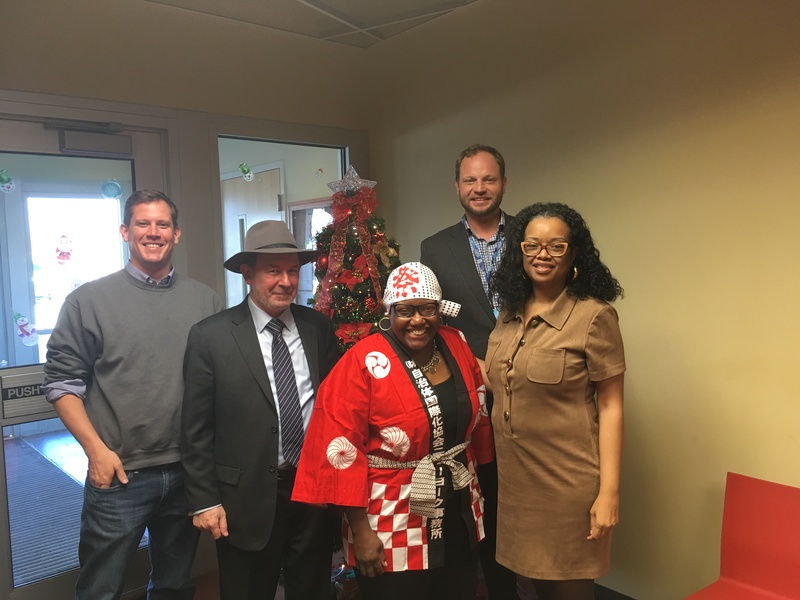 The mayor and her staff were most welcoming and excited to learn about Japanese cities. The Mayor of Gary is also the First Vice-President of the National League of Cities. Here is the Mayor and her staff at a meeting held in the Gary International Airport.